Robbie Dunne (@robbiejdunne) is a sports journalist based in Madrid and a site manager at Into the Calderón. 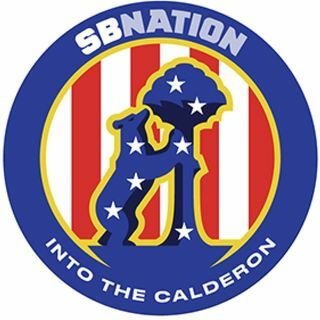 He joins fellow Into the Calderón site manager Jeremy Beren (@JBBeren) for this edition of Colchonero Chat to talk all about Atlético Madrid’s 2-0 win over AS Monaco in the UEFA Champions League. Robbie and Jeremy discuss Atlético’s return to the Champions League knockout stage and their prospects for success. They also touch on Koke’s newfound attacking contributions, Antoine ... See More Griezmann’s big-game DNA and the perception that the mattress makers’ defense is softer than before — in addition to ranking Atleti’s three most important players. Then, the podders offer a quick preview of Sunday’s contest back in LaLiga at Montilivi, where Girona and Pichichi leader Cristhian Stuani await Diego Simeone’s men. The guys work their way through this tricky fixture and give their scoreline predictions. Remember to support the podcast on Patreon! Head over to patreon.com/colchonerochat.